Okay, you want discount codes? You've got discount codes! The following codes are valid from November 24th to 12:01 am midnight on November 28th. The codes will take the specified percentage off of the lowest listed price on the website. No substituitions or backorders allowed. If you have any issues or questions, please call us at 1-250-747-1621.
or b) just call your order in and let us calculate it for you. Oh yeah: FREE SHIPPING FOR ORDERS OVER $300! For Swarovski, Zeiss, Leica, Nightforce, Kahles, Leupold and Aimpoint – please call 1-250-747-1621 to hear our deals, or to place an order! Last edited by plainSight Solutions; 11-27-2018 at 01:18 PM. No more details than phone? 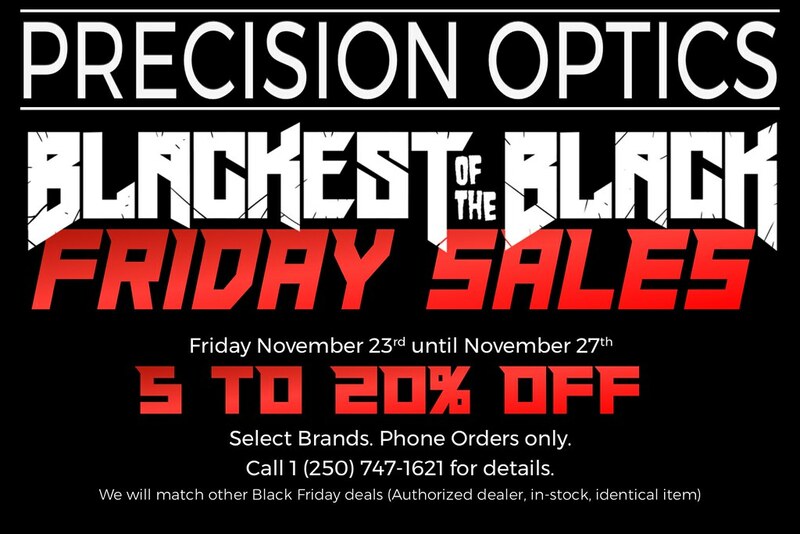 Due to the fact that virtually all of our pricing is at Minimum Advertised Price, and due to the policies many vendors have, we cannot list the Black Friday discounts for many of the brands. Just give us a call and we'll let you know what we have cooking! With pricing already at MAP, a discount code for web orders on brands such as Zeiss, Leica, Swarovski, Nightforce, Leupold, Sako, Tikka, Sauer, Mauser, Blaser, etc... would break the "rules", so any discounts over and above (or below) MAP would have to be over the phone. Give us a ring (1-250-747-1621) and we'll save you $$! Do you speak french too ? do you carry Trijicon MRO? The codes will take the specified percentage of the lowest listed price on the website. Thanks guys! Just bought a Nightforce and got a great deal and better customer service! I will definitely be buying more in the future.